A transmission line can be designed by taking into consideration various factors out of which economy is the most important factor. The conductor which is to be selected for a give transmission line must be economical. Most of the part of the total line cost is spent for conductor. Thus it becomes vital to select most economic size of conductor. The most economic design of the line is that for which total annual cost is minimum. Total annual cost is divided into two parts viz. fixed standing charges and running charges. The fixed charges include the depreciation, the interest on capital cost of conductor and maintenance cost. The cost electrical energy wasted due to losses during operation constitutes running charges. The capital cost and cost of energy wasted in the line is based on size of the conductor. If conductor size is big then due to its lesser resistance, the running cost (cost of energy due to losses) will be lower while the conductor may be expensive. For smaller size conductor, its cost is less but running cost will be more as it will have more resistance and hence greater losses. For economical design of line, the cost will be minimum for a particular value of area of cross-section 'a' of the conductor. Thus the most economical conductor size is one for which annual cost of energy loss is equal to annual interest and depreciation on the capital investment of the conductor material. This is known as Kelvin's law. The most economical current density can be estimated by using this law as it is not sufficient to determine cross section of the conductor. Let R = Resistance of the conductor of 1 mm2 cross section and 1 km length. C2 = Cost of conductor in kgf in rupees. r = Rate of interest and depreciation in percentage on capital cost. The economical cross section is one for which fixed annual charges on conductor material should be equal to cost of energy wasted during the year. The graphical representation of Kelvin's law is shown in the Fig.1. As the annual conductor cost S1 is directly proportional to area of cross section of conductor, it is represented by straight line while the cost of energy wasted is inversely proportional to conductor area so it is represented by rectangular hyperbola. The total annual cost S is summation of S1 and S2 for that cross section. 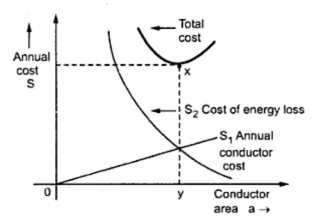 The lowercost point x on the total annual cost curve S gives the most economical area of conductor which corresponds to point of intersection of two components of total cost S as S1 and S2 as shown in the graph. At this point of intersection, S1 and S2 are equal. So most economical area is oy while corresponding minimum cost is xy. Following are limitations in applying Kelvin's law. 1. The amount of energy loss can not be determined accurately as the load factors of the losses and the load are not same. Also the future load conditions and load factors can not be predicated exactly. To estimate the energy loss approximately, the load curves are drawn for various types of loads and the load factors is determined. 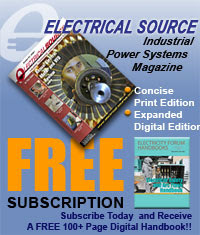 From the load factor, one can get the information of average load current carried by the line during the entire year. The total losses in the year are proportional to the mean value of the square of current during that year. The square root of the mean value of the squares of the line currents throughtout the year is called rms current. The rms current obtained from above expression gives fairly accurate results. The load factor of the losses is different from the load factor of the load current. The load factor of the losses is called loss factor λ It is defined as ratio of actual energy loss during a period to the energy loss if maximum current is flowing during the whole period. 2. The cost of energy loss can not be determined exactly. The cost of losses per unit is more than the generating cost per unit. 3. The cost of conductor and rates of interest are changing continuously. 4. If economical conductor size is selected then voltage drop may be beyond the acceptable limits. 5. The economical size size of conductor may not have the enough mechanical strength. 6. The cost of conductor also includes to some extent cost of insulation which changes with change in cross section of conductor. The cost of insulation is difficult to express in terms of cross section of conductor. 7. Due to problem of corona, leakage currents, the economic size of conductor can not be used at extra voltages. 8. Due to change in rates of interest and depreciation continuously, even if other parameters are same, application of Kelvin's law will give economical conductor size different at different time and in different countries. 9. In case of cables, the current carried safely depends on accepted temperature rise. In addition to copper loss, there is dielectric loss in metallic sheath all the time independent of whether current is carried by cable or not. These losses are difficult to consider these losses while applying Kelvin's law. In case of overhead lines, the problem of temperature rise is not much dominent than in case of cables. 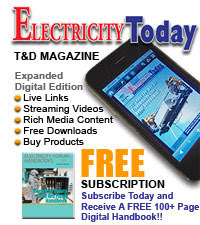 The I2 R losses are the major losses in overhead lines. So kelvin's law gives fairly acceptable results for lines upto 33 kV. For cables, the economic conductor size as obtained from Kelvin's law is to be considered from the point of view of acceptable temperature rise. So the practically selected conductor size and size obtained from Kelvin's law will be different and the different in cost will no be considerable. So small deviations from most economic conductor size can be always made practically. 10. The conductor size of the two systems having same load demand should also be same. But the cost of energy, interests and depreciation rates which are independent of resistance, voltage drop, temperature rise may be different in the two systems may give different economic cross section of the conductor after applying Kelvin's law.